We opened in the heart of the Budapests Broadway: just 8 minutes from the Opera, the Parliament and the Basilica, 8 newly renovated rooms in our hostel are waiting for you. 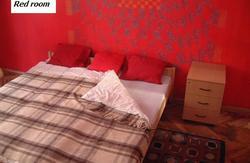 Unique atmosphere, nice rooms with comfortable beds, where you can relax after your experiences in Budapest. 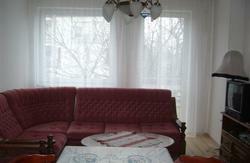 All accommodation units at the Yolo are functionally furnished. Dormitories have shared bathroom facilities, while each room contains a private bathroom with a shower. 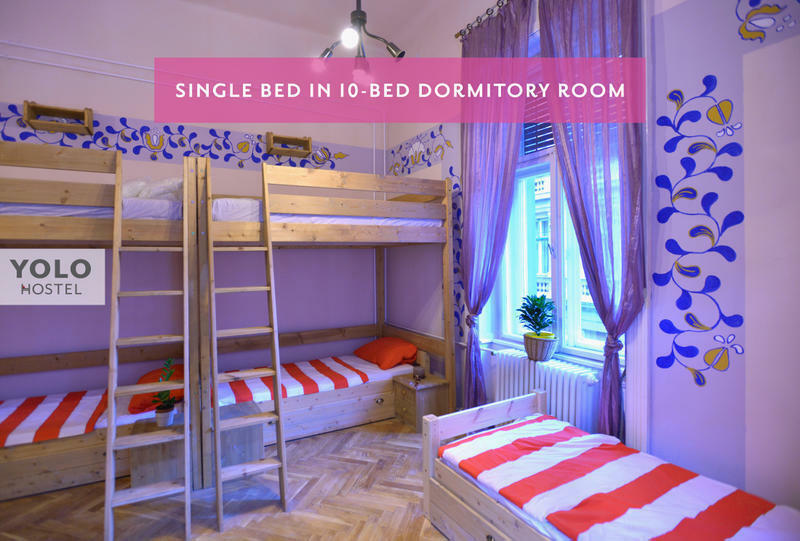 Come on, you can be among the first of our guests in the Nagymező street: not just yourself, nor with your boyfriend / girlfriend, but we can accept a group of up to 7-14 person in out Dormitorium. In our two separate suits both equipped with an own bathroom we can accommodate 4-4 people, while the other four rooms – also available for 4-4 people – a common bathroom (separate women, separate men of course) is provided for you. On request and for an additional fee, the property can assist with organising a city tour and ticket purchase, as well as arrange a shuttle transport from Liszt Ferenc Airport (20 km away). Public parking is possible on site for an extra charge. 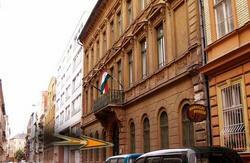 The Opera is within 650 metres from the property, while the Parliament is reachable in 700 metres.